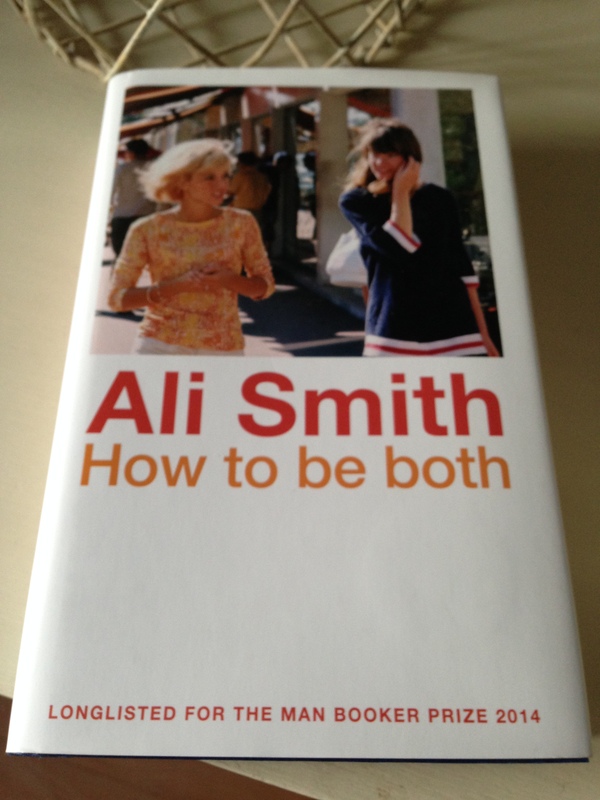 I bought Ali Smith’s latest novel, How to be both, back at the end of September with a view to reading it at Christmas. Time got the better of me over the holidays, but in a way I’m glad I had it for the dark days in January as it turned out to be a delight from start to finish. How to be both, is divided into two parts, both titled ‘one’. The overall narrative consists of two interconnected stories: in one, we encounter a sixteen-year-old girl named George whose mother has recently died; in the other, we meet Francescho, a figure based on a real-life 15th-century Italian renaissance artist, Francesco del Cossa. The book has been published in such a way that brings an element of chance to the reading experience. Half the copies of How to be both have been printed with George’s section of the narrative first followed by Francescho’s, while in the remaining 50% of copies the order is reversed. In my version of the novel, the narrative starts with George’s story. We join her on New Year’s Eve a few months after her mother’s sudden death from an acute allergic reaction. George lives with her father and younger brother, Henry, and it’s clear that each member of the family is finding it difficult to come to terms with their loss. George’s story is full of memories of her mother, and central to this section is the account of a trip the pair take to Italy to see a piece of artwork in its natural state. This visit, prompted by a photo George’s mother has seen in an art magazine, forms the main link with the other section of Smith’s novel as the artwork in question is one of Francescho’s frescos. That’s just a small extract from the wonderful description of these frescos. As the weeks pass, George finds some comfort in the form of friendship with Helena, a girl from school who shares her budding interest in art as a form of expression. When tasked with a school assignment on empathy and sympathy, the two girls decide to capture it through the voice of Francesco del Cossa, the painter of the frescos George’s mother loved so much. It is entirely possible that the other section of the book, Francescho’s story, is a figment of George and Helena’s imagination. Nothing is clear though and Smith leaves this open to the interpretation of the reader. As George’s section draws to a close, there are signs of hope. She begins to imagine a future, a vision of a summer where she finds her father happily going about his business instead of resorting to drink. In addition, there’s an intriguing link to del Cossa which acts as an introduction to the other half of the book. Francescho’s story comes in the form of a first-person narrative, a voice I found utterly engaging from the start. Early in this section, we learn that Francescho is in fact female. When her father recognises young Francescho’s talent for drawing, he encourages her to adopt a male identity thereby enabling her to fulfil her desire to work as an artist. During this half of the novel, we follow Francescho’s progress as she develops her trade. In time, she is appointed to paint three sections of fresco in a certain Palazzo, the one visited many years later by George and her mother. There is a playful, subversive note to Francescho’s art as she incorporates the faces of her family members and much-loved friends into these frescos. Furthermore, she cannot resist the occasional spot of political satire, an activity that provides another link to George’s story – before her death, George’s mother was an early pioneer of the Subvert movement, an underground group that used art as a form of political activism. In an intriguing development to Francescho’s narrative, it would appear that her spirit has been sent to observe George in the present day, and these passages are threaded through the story of Francescho’s own life in 15th-century Italy. This might sound confusing and tricksy, but far from it. It all comes together beautifully. As one might expect, Francescho finds certain aspects of 21st-century life rather baffling. That said, her observations are rather astute. Can you tell what she’s thinking about here? If it’s not clear by now then I should say that I liked this book very much. Like its protagonists, it’s clever, brimming with ideas and yet it’s easy to engage with too. The writing is wonderful and Smith conveys much warmth and affection for these characters. I thoroughly enjoyed both parts, but I found Francescho’s voice especially captivating – her character comes with a language and syntax all of her own. With a title like How to be both, it’s probably no surprise that duality is at the heart of this novel, and Smith uses this theme to create multiple connections between the two parts. I’ve already touched on the links between life and death and questions of gender, but there are other examples too. The frescos act as a metaphor for the story we can see on the surface and what might be revealed if we endeavour to dig a little deeper and look underneath. At various points the stories touch on the act of observation and surveillance: the observer and the observed; the act of seeing and being seen. Today what she sees is the way the rockscape on one side of the saint is broken, rubbly, as if not yet developed, and on the other side has transformed into buildings that are rather grand and fancy. It is as if just passing from one side of the saint to the other will result if you go one way in wholeness and if you go the other in brokenness. Several other bloggers have reviewed this book including bookemstevo, Eric at Lonesome Reader, Gemma at The Perfectionist Pen and anakatony at Tony’s Book World. Francesco del Cossa’s frescos can be viewed in the Palazzo Schifanoia in Ferrara, Italy. How to be both is published in the UK by Hamish Hamilton, an imprint of Penguin Books. Source: personal copy. Book 8/20 in my #TBR20. This entry was posted in Book Reviews, Smith Ali and tagged #ReadWomen, #ReviewWomen2015, #TBR20, Ali Smith, Book Review, Fiction, Hamish Hamilton, Penguin Books, UK on February 11, 2015 by JacquiWine.